Go birdwatching with a Birding Pal from Arizona. I'm an older woman who is in good health. I bird 3-5 times/week for two to four hours each time. Places I take visitors: Boyce Thompson Arboretum; The Riparian Preserve at Gilbert Water Ranch; recreation areas along the Lower Salt River; urban parks. I'm a member of Desert Rivers and Tucson Audubon Society but mostly bird solo or with local birding companions. Interests: birding, photography and writing. Area birds: Phoenix area: Sonoran desert birds, some of which are found nowhere else in the country (Abert's Towhee, Black-throated Sparrow) plus the Rosy-faced Lovebird. Many waterfowl (November through March) in our settlement ponds. I live on the Verde River and have a large ranch with access to the national forest. Many birds are here. Willing to work with families. I'm, a wildlife biologist and a bird tour leader. As a long term resident of Flagstaff I am well acquainted with the area and its wildlife. I am always happy to help those wanting to see birds in the area. I am Jim Day, and I've been birding for 35 years. These days I split my year into three locations: The Bulgarian Black Sea, the city of Plovdiv, Bulgaria, and Green Valley, Arizona. I've welcomed a number of BirdingPal visitors over the past several years, from many parts of the world, and it's always fun. I also make a major birding trip yearly. Last year it was Madagascar, Namibia and Botswana, the prior year South Africa, and in each of the three years before that I birded in Colombia. This year I'm considering Australia. I started birding during my years in Texas. Most of my Pals have found me at the Bulgarian Black Sea. I am based in Ravda, between Bourgas and Sunny Beach, and am usually in residence there from early June through most of September. A few of the many birds we usually turn up include Black-headed Bunting, Dalmatian Pelican, Collared Pratincole, Slender-billed Gull, Bee-eater, and Pygmy Cormorant. During fall migration starting about August 15, we get tens of thousands of White Stork, White Pelican, and a spectacular variety of raptors. One of the most popular local sites is Lake Atanasovsko, on the north side of Bourgas. The Bulgarian Black Sea, the city of Plovdiv, Bulgaria, and Green Valley, Arizona. I have recently moved to the Green Valley area from British Columbia, Canada, where I also volunteered as a Birding Pal. Prior to the move, my wife and I spent part of the winters here as " snowbirders ". I have birded S.E. Arizona extensively, as well, at other times of the year. I have been an active birder for about 30 years, and have birded all parts of North America from St. Lawrence Island, in Alaska, in the extreme North West to Florida and Texas in the South East. Green Valley is directly opposite the Santa Rita Mountains which holds the world famous Madera, and Florida Canyons. Other local hotspots I regularly visit include all areas from Green Valley South and East to Patagonia, West to the Buenos Aires National Wildlife Refuge, and North to Tucson, and the Santa Cruz Flats. Depending on the time of year, there are a great number of birds that spend all or part of the year in this area. Some of the most sought after include Elegant Trogon, Black capped Gnatcatcher, Rufous backed Robin, Thick- billed Kingbird, Whiskered Screech Owl, Elf Owl, Mexican Whip-poor-Will, Violet crowned Hummingbird, Yellow billed Cuckoo, Sulphur bellied Flycatcher, Arizona Woodpecker, Summer and Hepatic Tanagers, and of course, the elusive Montezuma Quail to name just a few. Madera, and Florida Canyons. Green Valley South and East to Patagonia, West to the Buenos Aires National Wildlife Refuge, and North to Tucson, and the Santa Cruz Flats. Elegant Trogon, Black capped Gnatcatcher, Rufous backed Robin, Thick- billed Kingbird, Whiskered Screech Owl, Elf Owl, Mexican Whip-poor-Will, Violet crowned Hummingbird, Yellow billed Cuckoo, Sulphur bellied Flycatcher, Arizona Woodpecker, Summer and Hepatic Tanagers, and of course, the elusive Montezuma Quail to name just a few. The non-profit Willow Creek Riparian Preserve is a 10 acre high desert riparian preserve located 30 miles east of Kingman, Arizona. It is 1.5 hours east of Lake Havasu, 3 hours southeast of Las Vegas, NV, and 2.5 hours west of the Grand Canyon National Park. The Preserve is owned and operated by Senior Preserve Managers Bob and Julie who have over 45 years of combined professional birding experience. Bob and Julie have also created and conducted ecological education tours; perform habitat management restoration; and are knowledgeable about ethnobotanical resources. 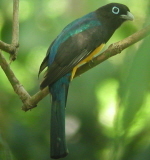 The Preserve offers much more than birding - there are many reptiles and amphibians present as well as mammals, in addition to significant historical and cultural resoures. The property was utilized as a way station between 1840 and 1880 between Hardyville (i.e. Bullhead City) and Prescott/Fort Whipple - the road was known as the Hardyville Toll Road. Camp Willow Glen, 8th Cavalry, was located in the southern portion of the Preserve. The surrounding area offers dry camping with plenty of room to set up an RV (water available at the Preserve) and 1,000's of surrounding acres to explore. The nearest lodging and dining is in Kingman. Special events at the Preserve may be considered. All donations go to the Preserve for future habitat acquisition and restoration. 120 acres on San Pedro River, Burrowing Owl project, near Huachuca Mountains and Coronado National Monument. 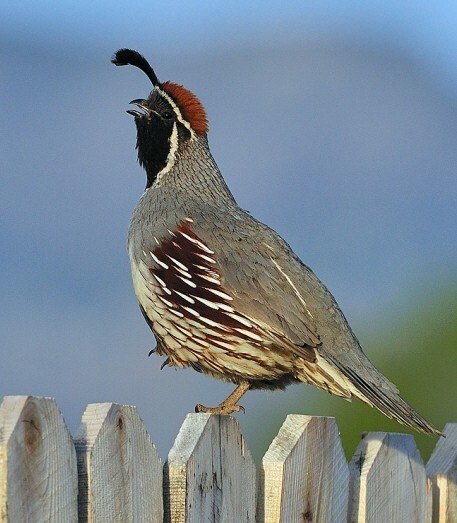 Avid Phoenix and Maricopa County birder. 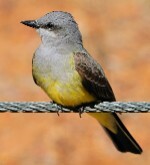 I have been birding for a number of years almost exclusively in Central Arizona. My wife and I have been birders 25 years. Retired now. Have lead Audubon field trips. Mid Arizona birds, not southeast specialties. I moved here 5 years ago, found it to be the top area in the USA for possible varity a warm climate. In and around Tucson is a great birding area. I'm a 76 y.o. woman. I'm now retired; so have more time to advise or go around with visiting birders. I might be able to help with housing. If you contact me, we'll talk. I love birds and love to share my appreciation of them with others. My emphasis is more on natural history than ticking, but as we have many endemics and specialties here. I'm willing to go for the elusive warbler with you. 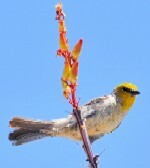 I live on the western edge of Saguaro National Monument; there are lots of good high desert birds right in my back yard. On the central Florida flyway during fall migration. Many good habitats nearby. Melody is an avid birder who loves to share her knowledge with anyone and everyone. She continues to take courses in ornithology to keep up to date and to feed her frenzied need for more knowledge about our feathered friends. In addition to leading personal tours for a one-on-one experience for beginners and advanced birders, Melody also leads birding and hiking tours for the Tucson Audubon Society and the Southern Arizona Hiking Club. Her 20+ years (10 of those years spent leading professionally) of intensive birding and hiking in Southern Arizona has provided her with intimate knowledge of the places where birds gather, nest, feed and hide. She is also knowledgeable of the area's fauna and flora and current environmental issues. Melody's enthusiasm for birding is contagious and makes for exciting and fun days in the field.